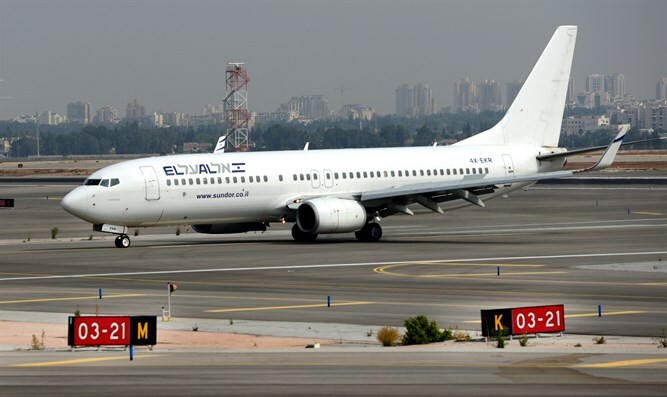 Israeli forced out of plane during emergency evacuation transferred to Israeli hospital with severe head injury, unconscious. The Israeli woman who fell out of a plane during an evacuation of the aircraft in Budapest last month was flown back to Israel Wednesday night. Dikla Abitbul, 38, was critically injured when passengers onboard an Israel-bound flight were forced to evacuate from the plane as it sat on the tarmac of Budapest Ferenc Liszt International Airport last month, after the cabin of the plane filled with smoke. Abitbul, a mother of two, was knocked out of the plane before the slide at her emergency exit had fully inflated. She suffered a severe head injury. She was taken to Beilinson Hospital for further treatment upon landing in Israel Wednesday and is hospitalized in neurosurgical intensive care unit in stable condition. Dr. Marco Rubin, who is in charge of a neurosurgery in Beilinson, andwho flew to Hungary to take care of Abitbul, said: "After the woman's fall, I received an urgent request to fly to Budapest to help with the family and the doctors. We waited for about a week until her condition stabilized so that we could fly her back to Israel. Here we will be able to continue with close medical supervision and treatment." Abitbul’s mother, Rikki Sapirin, revealed that her daughter remains unconscious. “She had an operation on her head, broke her ribs, and has casts on her arms."